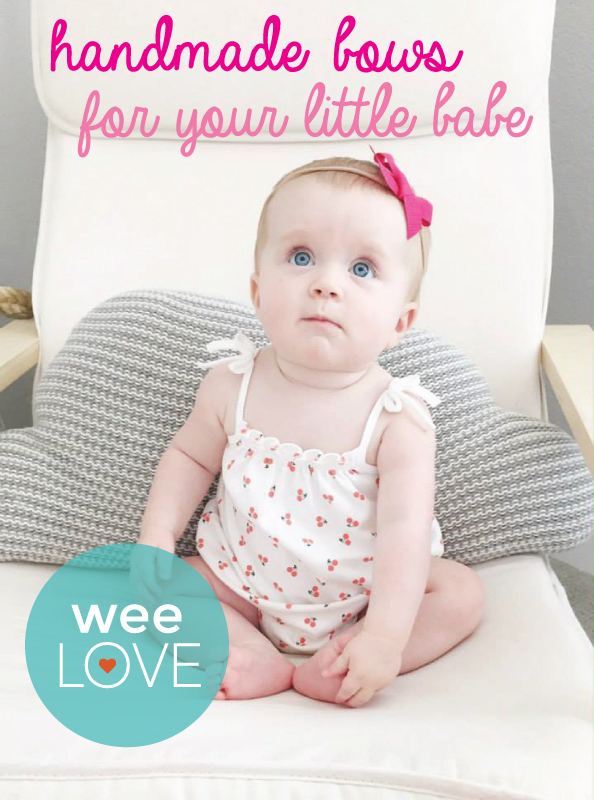 weeLove: Headbands, Pom Poms, and Bows… Oh My! Ya know what’s a great combo (aside from Netflix + the ability to stay awake)? Baby girls and bows. Hadley Girl handmade hair accessories are our newest style obsession for mini-mes. Created by a new mom (and inspired by her little lady), this collection of simply sweet hand-tied grosgrain bows and headbands is girly but not over the top. So, there won’t be any “What was I thinking?” moments when you look back on baby pictures. With tons of colors and adorable patterns to choose from, you’ll have something for every outfit. We especially love the neutral palette, so you don’t have to try too hard to coordinate on one of those mornings. Perfect for newborns and toddlers alike, you’ll be smitten with these charming clips and headbands that actually stay put, unlike your busy babe.